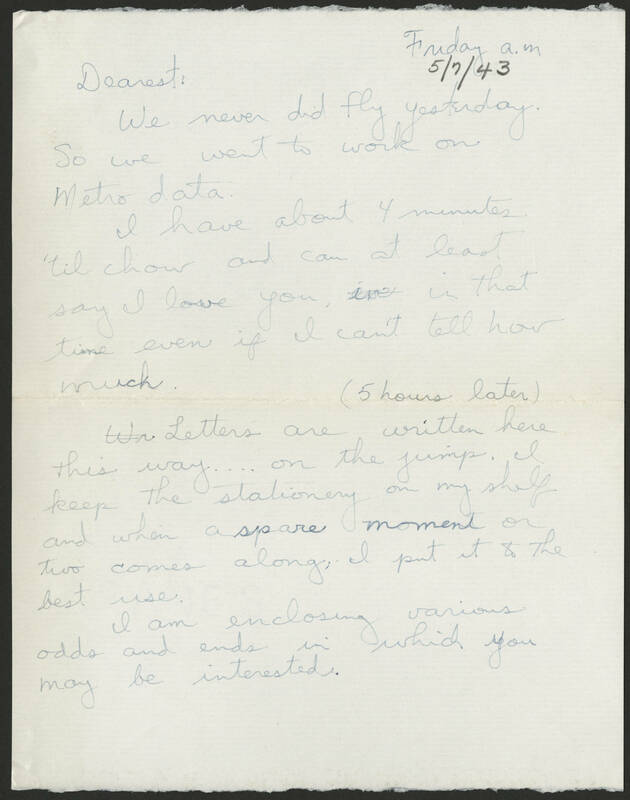 Friday a.m 5/7/43 Dearest: We never did fly yesterday. So we went to work on Metro data. I have about 4 minutes 'til chow and can at least say I love you, in that time even if I can't tell how much. (5 hours later) Letters are written here this way .... on the jump. I keep the stationary on my shelf and when a spare moment or two comes along, I put it to the best use. I am enclosing various odds and ends in which you may be interested.